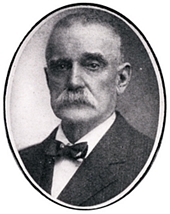 Hollister, William L. "Wm., W.L." U.S. Executive Branch: United States Revenue (Revenue Agent); 1??? to 1??? Military: (Examining Surgeon for Recruits, 2 years); 1??? to 1??? He came to Minnesota in 1867 or 1868. Session Notes: His official term end date is uncertain since we do not know when he left office. The date listed is the date before the first day of the 1885 session. His term was finished by W.T. Wilkins.